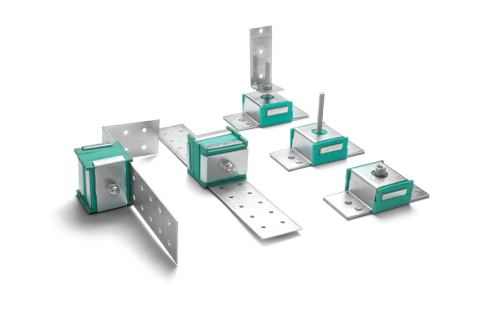 New range of acoustic hangers for increased sound insulation. 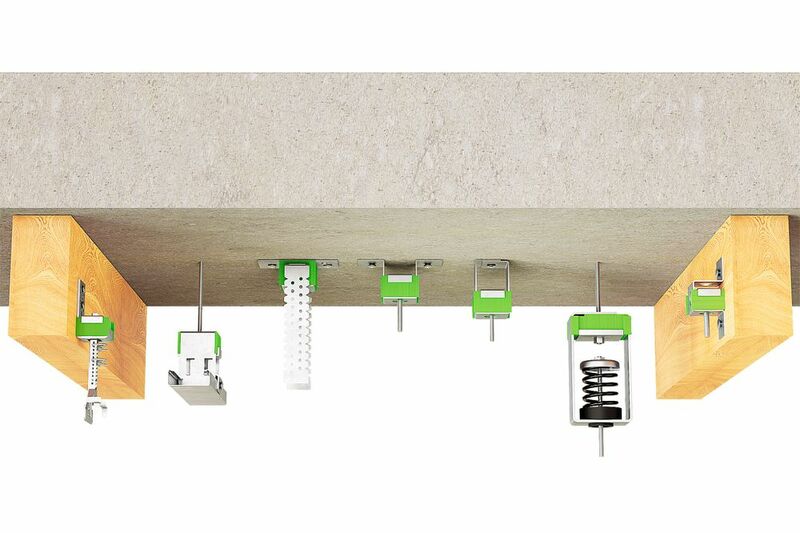 Akustik+Sylomer® is the trademark of a new product range of acoustic hangers. Acoustic suspended ceilings are an excellent way of preventing airborne noise from below passing into the ceiling structure, or preventing noise/vibration from the floor above entering the room below. Sylomer® is a well known elastomer that can give the extra isolation that can make the difference in the acoustic isolation of the room. 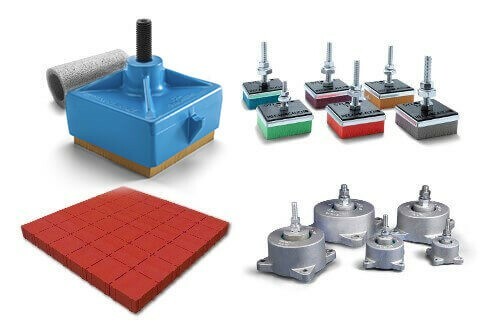 Anti vibration mounts for floating floors, vibrating equipments or elements that have to be suspended.